The Joseph Banks Society has given up on plans to build a new conservatory at The Lawn in Lincoln after being told latest ambitious proposals would most likely be rejected by planning officers. 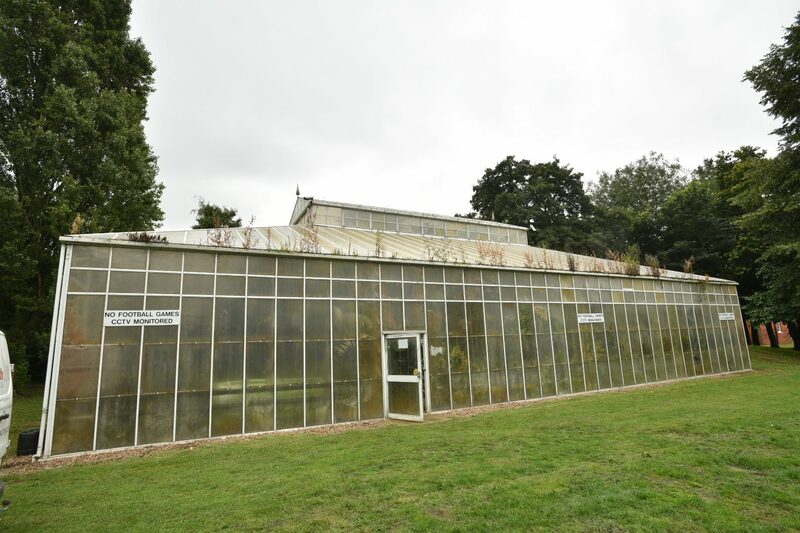 The society, which has been working on plans for a new conservatory since the former attraction was dismantled and relocated in August, has said hopes for a replacement on the site were “dashed” after a meeting with the City of Lincoln Council’s planning department. Proposals for land adjacent to Dawber Gardens included a new multi-storey conservatory with rooftop garden in the tree canopy, play and education schemes about the famous Lincolnshire botanist and a slide connecting to the neighbouring children’s play area. The council has however has said the latest designs were likely to be refused as they are different to those originally proposed and would be ‘harmful to the appearance of the area’. In response, the Joseph Banks Society has lashed out at the council, saying it has “no appetite to support plans”, despite members approving in principal a 50 year agreement for a conservatory. Members say they are instead looking at alternative sites for the project in Lincoln. As reported previously, the conservatory came down as part of the £1.5 million redevelopment of The Lawn by new owners RW Stokes and Sons. The old conservatory had fallen into disrepair. The site where it stood off Union Road has now been turned into additional council-managed parking spaces. Paul Scott, a member of the Joseph Banks Society told The Lincolnite: “The society and our partners in this project feel that we have been used to facilitate changes on the Lawn site which would be unpopular with the public, on the understanding that our project would soften the impact. “It was totally unexpected, the meeting we attended was described as a brief session to answer some planning questions. “We would not have supported the demolition of the old conservatory or the extension to the car park had we known this would happen. The Joseph Banks Society’s latest designs for the conservatory at The Lawn have been scrapped. Simon Walters, Strategic Director of Communities and Environment at the City of Lincoln Council, told The Lincolnite: “We want to see this conservatory in Lincoln and are keen to continue working with the Joseph Banks Society to make this happen. “The designs originally discussed with the Society were very different to the ones they recently submitted to us. “The building is much larger and two storeys higher than originally agreed and the location would be different. “We have expressed concerns that this design would be harmful to the appearance of a historic part of the city, would cause objections from residents and Historic England, and would be highly unlikely to gain planning approval.